We’re expectant that on this holy day, as we look at the empty grave and celebrate the life of Jesus, that we can experience the resurrection in a fresh way this year. Join us Sunday morning as we celebrate the Ressurection with worship and a powerful message. 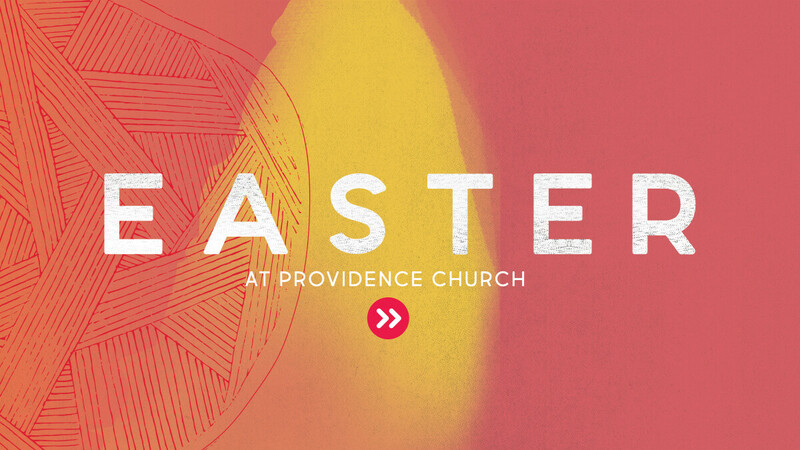 ProvKids (ages 6 months–5th grade) will be held at the 9:30am + 11am gatherings. Middle School will not be available, and parking at Providence Church is limited so be sure to plan accordingly by parking at the Elks Lodge (401 W. Washington St.), or on the street. Join us for an intimate time of worship & reflection at 6:45am Easter morning at Stroud Preserve. Please park in the designated parking lot 3/10 mile south of Route 162 on North Creek Road and follow the signs to the gathering.